Yes, I’m staring at my own headline. Typical. 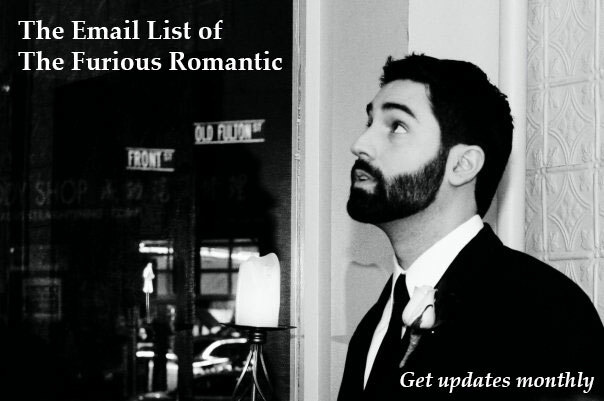 I send an email update out to my list once per month. The email lists top posts on the blog for the previous month, and delivers updates on current projects. I always add a little intro to these items. Sometimes, the intro is fun. Other times, it’s serious. Usually, it’s both fun and serious. It’s seldom overly-long. Free sh*t. Subscribers get advanced/exclusive (and free) access to new creative content produced by yours truly. Sometimes this is something small and cute. At certain points in the future, it may be big and serious. You get to wait to see what blog posts are the most popular for the month, and skip the rest of the junk. Don’t let the fact that there are sometimes only a few posts per month (that all make the list) stop you. You can stay informed on my new and current projects. This includes films and other created media. I put my heartfelt-all into each blog post, and I don’t shy away from tough topics or big questions. Sometimes, I wish I could. I can’t! I put my heartfelt-all into each project, and squeeze the heartfelt-alls of others into them as well. Heartfelt heart-juice, delivered right to your Inbox. It’s made out of hearts! Why not try it out? You can always unsubscribe. I won’t juice your heart if you unsubscribe. I promise. I think.